Poliform, an Italian luxury modern furniture brand, offers the high quality furniture, closets, wall systems, and kitchens for any space. It provides custom made cabinetry for closets, bookcases and kitchens. Poliform also has a wide variety of high end living room furniture including sofas, armchairs, sideboards; dining room furniture, including tables and chairs; and bedroom furniture - beds, nightstands, dressers and more.Poliform offers professional design services to help to design and furnish their home in contemporary style. 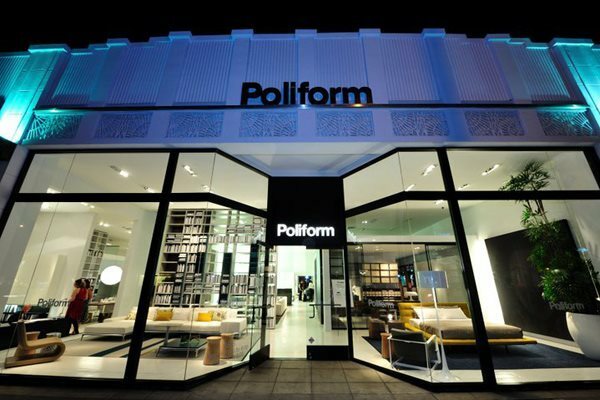 Due to the success Poliform experienced in the New York market, we expanded our presence and opened corporate showrooms in other major cities, including Miami, Los Angeles and Chicago. While continuing to work on both retail and contract projects, we were also able to grow a strong dealership network of about forty stores throughout North and Central America. As the size of the company expanded, Poliform USA diversified its product lines, adding Varenna kitchens, tables and chairs to the collection. In 2005, Poliform continued to grow with our line of sofas and beds creating a complete Poliform home concept. This further allowed our clients to enjoy the continuity of Poliform’s finishes and styles throughout their whole space. Our vision is to continually maintain the highest product quality, while reflecting clients’ tastes through personal designs on each project in every collection. We provide turnkey service from the concept to the completion stage of a design project, including creation of technical drawings, material selection, renderings, as well as delivery and installation to achieve the finest design solutions and experience for our clients. Poliform dedicates its creative resources and efficient production methods to parallel and complement projects of any size: Multi-Unit Residential, Corporate Offices, Culture & Entertainment, Education, Hospitality and Retail. Poliform is heavily involved in developing projects of the highest standard such as the AOL Time Warner Center and The Setai 5th Avenue in New York, the Presidential Chambers of the Clinton Library in Little Rock, the Palmolive Building in Chicago, and W Hollywood Residences in Los Angeles. Poliform evolved from a small artisan shop dating back to 1942 and established itself in the Italian region of Brianza in 1970. From the beginning, the company made no secret of its industrial character: to utilize efficient, modern production line methods, while continually monitoring change in a growing global market. Over the years, Poliform has continually adapted its range of products to the furniture market, demonstrating a strong ability to generate high-demand collections. The goal has always been to honor the many different tastes of a diverse, international audience while anticipating and interpreting trends for modern lifestyles. The Poliform brand today is synonymous with luxury life style and excellence in quality. Poliform’s initial product focus included systems and furnishings for the home: bookcases, complements, wardrobes and beds. In 1996, the company added kitchens to its collection through the acquisition of the Varenna brand. In 2006, the company launched its first collection of sofas and armchairs. 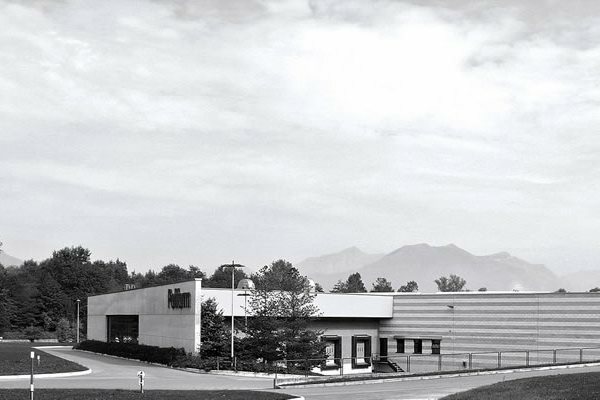 Poliform's history is that of a company maintaining its family character, despite global operations in 70 countries. Evolved from a small artisan's shop, Poliform invested in new production technologies; therefore, evolving the products into functional, modular systems. Poliform becomes an industry: the minds behind the evolution, Alberto Spinelli, Aldo Spinelli and Giovanni Anzani, who continue to head the company today, successful in blending specialized technical expertise with a flexible entrepreneurial approach shifting with social and economic changes. The three partners play different and complementary roles within the company. The representatives of the third generation have gradually been stitched into the company's fabric, each one bringing specific personal experiences and talents.